eBook piracy and plagiarism are two of the worst fears of authors and publishers. Just like with music and movies, there are now websites that offer many pirated ebook downloads. Plagiarism has been happening for ages and it’s only become easier with books in digital format. This article on The Guardian paints a new picture for plagiarists, though. Even though it’s easier to copy the contents of an ebook, it’s also easier to get caught now that everything can be scrutinized online. This article is about an author who discovered someone ripping off many of her romance books, only changing major details like names and places. After one instance was discovered, others joined the author in researching the plagiarist’s work, and more and more cases were quickly found. The plagiarist was outed online and forced to pull her stolen work. In this age of blogs and Twitter, a reputation can be ruined pretty easily. It seems to me like all the trouble of trying to plagiarize isn’t even worth it. If you’re interested in being an author, write your own stuff. If you don’t have any talent for writing then find something else to do. An Australian group-buying site owned by Microsoft and Nine sold e-book readers bundled with a treasure trove of thousands of pirated books including the full Harry Potter and Lord of the Rings series. The matter has prompted a rebuke from the NSW Fair Trading Minister, Anthony Roberts, who claims group-buying sites cannot simply blame vendors when they are caught running dodgy deals.The book industry has reacted angrily and HarperCollins, publisher of some of the major titles contained on the CD including those by J.R.R Tolkien, said its corporate solicitor ”will be ringing them today”. The site, Cudo.com.au, this week advertised a $99 e-book reader that came with ”4000 e-books you can load from a CD”. Thousands of people signed up for the deal, but the company claims it discovered the books were pirated before orders were shipped. Cudo’s advertisement originally linked directly to a list of books that came on the bonus CD, and the list contained thousands of books that were still under copyright and available in stores. The site later removed this link from the advertisement, but the original ad is still visible in Google’s cache. ”It’s extraordinary … there’s piracy taking place on a grand scale,” said Australian Booksellers Association chief executive Joel Becker when shown the list of books. Whether you hate or just tolerate DRM, most publishers will continue to require it as long as they feel that their ebooks will be pirated without it. It’s unfortunate that the average law-abiding user is the one who gets punished by having to deal with DRM restrictions. Authors deserve to get paid for their work just like everyone else, though, so what are they supposed to do? 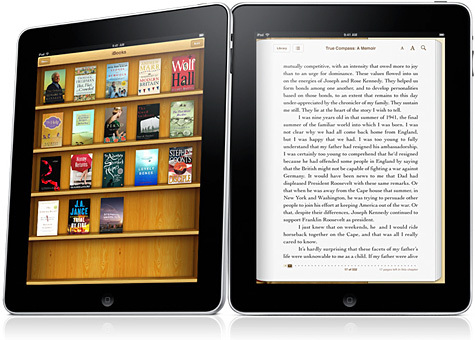 And this time there won’t be another iTunes that comes along and sort-of-transforms the situation like they did with MP3s, because we already have Kindle software and iBooks and other paid ebook services. Unless all of humanity suddenly comes to a state of enlightenment where nobody wants to steal anymore, I don’t know how pirating will ever stop.